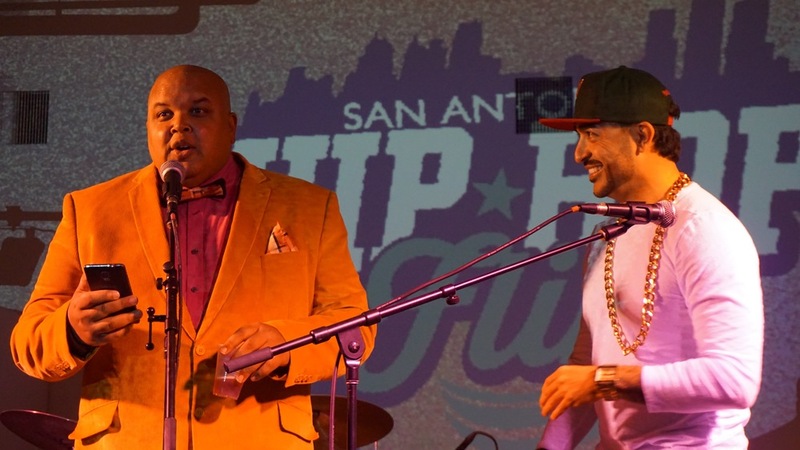 Hip-Hop for Humanity: Music Making A Difference — Sobre Sound "
San Antonio’s diverse hip-hop community came together with over 40 other cities across the globe to raise more than just awareness about the water crisis happening in Flint, Michigan since April 2014. HipHop4Flint, a group dedicated to fixing this issue, named March 19, 2016, a national day of unity for the city of Flint as leaders and supporters in hip-hop communities came together to raise money to purchase water filtration systems for the residents of this city. These systems will filter out the water in an entire household of any lead and bacteria, which has been contaminating the city’s water for almost a year and is causing devastating health effects for many children. The creator and leader of this global hip-hop fundraising campaign is writer and activist Queen YoNasDa Lonewolf, who joined together with Prince of Peace Missionary Baptist Church, a non-profit organization, as well as human rights activist organizations Justice League NYC and Unite or Die in hopes to raise about $80,000 to $100,000 for the purchase of these water filtration systems. Not only is Jackson a crucial asset to the HipHop4Flint organization, but he is also the man behind the successful orchestration of the local HipHop4Flint event that took place in downtown San Antonio at CoLab. Because of Jackson’s hard work and dedication to the cause, almost everything (if not everything) provided for the event was made through donations from sponsors, from the stage to the free beer and burritos. Voto Latino, an organization dedicated to providing the lives of young Latinos with the tools to make a political difference, sponsored the event as well. Voto Latino provided the opportunity for those who hadn’t done so to register to vote in this year’s critical election. The entire night was filled with politically moving messages, from Congressman Joaquin Castro’s powerful speech, to the performers’ socially aware lyrics, down to the wording on some of the shirts being worn. Not a single performer set foot on stage and didn’t address what was going on in Flint in some manner. Each artist performed songs that held deep lyrical substance and contained both personal and universal truths -- the real foundation of hip-hop. The music made a difference and the artists’ rapped about issues that touched their personal lives, including the struggles of being black or Latino and being abused by the governmental systems. The multi-skilled artist with her combination of complex rapping over simplified beats, Kree 23, got real personal with the crowd after introducing a song that talked about the trials of losing a parent to drugs. SA rapper, singer and producer Greg G who flew in from New York to support the cause, performed songs off of his newest mixtape “The Feelin” that included one titled “San Antonio,” it was a “too-bad-you-missed-it” performance. What made the event that much more interesting was that this wasn’t your ordinary hip-hop show. The night included mix-ins and bursts of soul from The Foreign Arm, jazziness from the band Soulzzafying (who did a tribute to J Dilla), and Rn'B vibes from multi-talented vocalist Kii Kii Star. 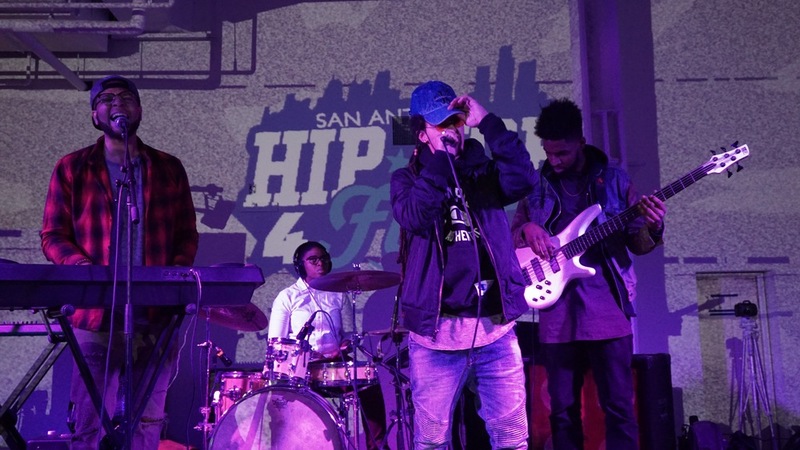 The event even showed how diverse hip-hop has become in San Antonio by the inclusion of Chicano-infused hip-hop groups Third Root and Olmeca. The combination of English and Spanish lyrical rap in hip-hop has become a culturally connecting phenomenon, breaking boundaries and unifying communities all over. These bilingual performances might have been unique to a lot of ears, but it definitely showed our city what the genre of hip-hop is all about. The night presented some of the biggest names in the local hip-hop scene, but the night wasn’t solely focused around the sound of the drum kicks and the crazy guitar riffs. The event used the universal community hip-hop has, to do what hip-hop has always been meant to do, and that is unite people through truth. HipHop4Flint has provided this positive platform for hip-hop to stand on and is successfully showing the world the power of hip-hop by helping those being affected in Flint, Michigan. If you want to learn more about the organization HipHop4Flint and the water filtration systems, you can visit their webpage here. If you are interested in supporting the organization and making a difference to those living in Flint, Michigan, it’s not too late. You have until April to donate to HipHop4Flint by clicking here.